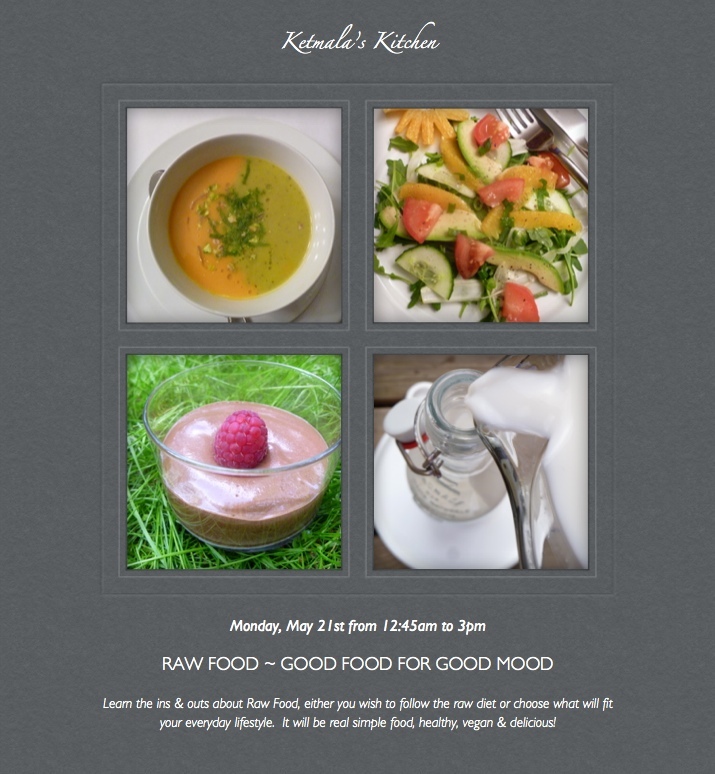 “Raw Food – Living Food” – Do you wonder what is the Raw Food all about? Will a raw food diet really lead to better overall health? Where do you get your protein from a plant base diet? How do you prepare it? Learn the ins & outs either you wish to follow the raw food diet or choose what will fit your everyday life. You will be pleasantly surprised by the vibrant, energizing, fresh and flavorful food. Fee: $55 includes 2 1/4 hour class, recipe, a few healthy raw food to sample.